Remember this photo I posted about working on a Sunday? I’m excited to tell you all that I’ll be on TV! Heeheehee. 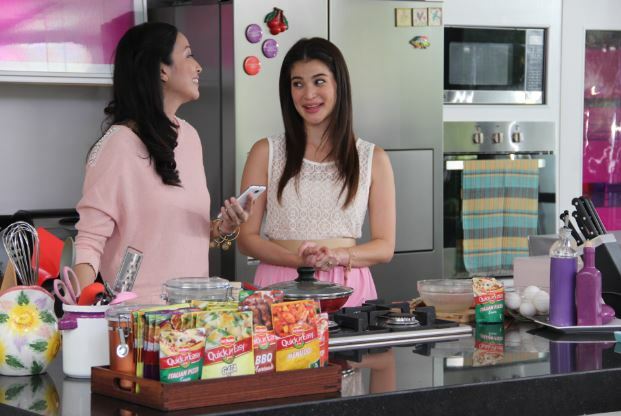 Watch me cook a quick & easy recipe with no other woman, Anne Curtis! Anne is such a pretty and down to earth person. I was kinda (kinda lang daw o) starstrucked when I was introduced to her. 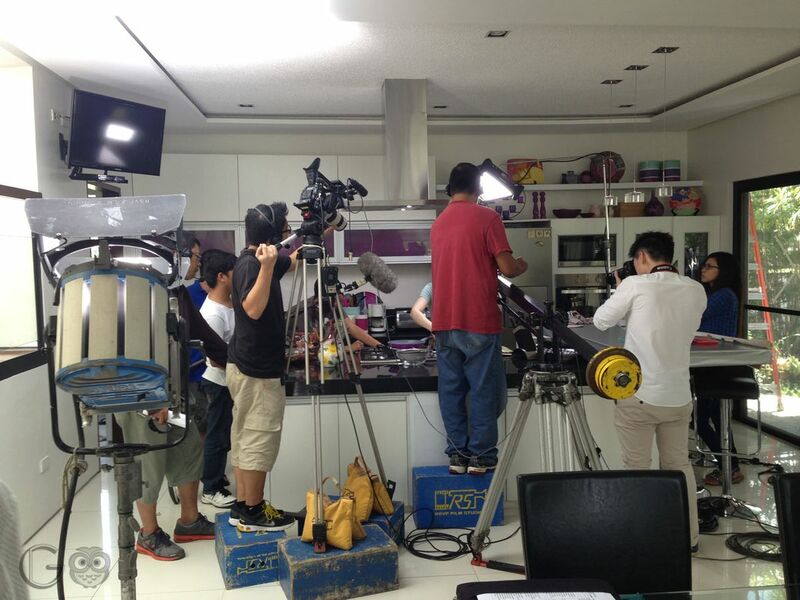 Imagine the Annebisyosya herself with more than a million follwers is making chikahan portion with me in between takes?! Aliw! A 2 minute informercial such as this takes a lot of effort to make and produce ha. Look at all the people behind it, who by the way were wonderful to work with. Thank you for the fast shoot! 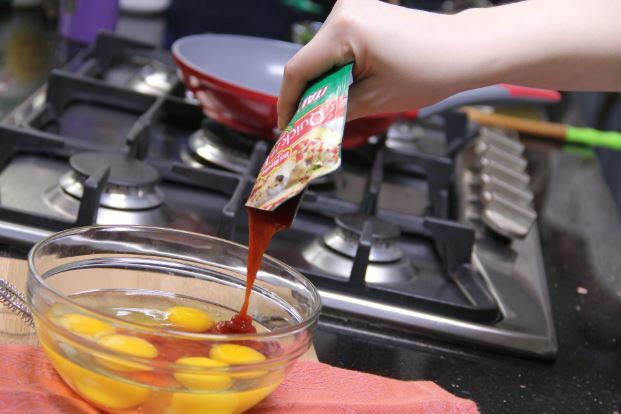 As what I picked up from my chikahan portion with Anne, she enjoys and loves cooking but would prefer quick and easy to follow recipes because most of the time, her schedule can get pretty busy! Ikaw na maging Anne at magka-oras pa mag luto, winner! So thankful to my husband, Mr. GJG for agreeing to guest with me! He’s the type who would want to be as private as possible. Well hun, now you’re a rising star! Hahaha. Joke lang! 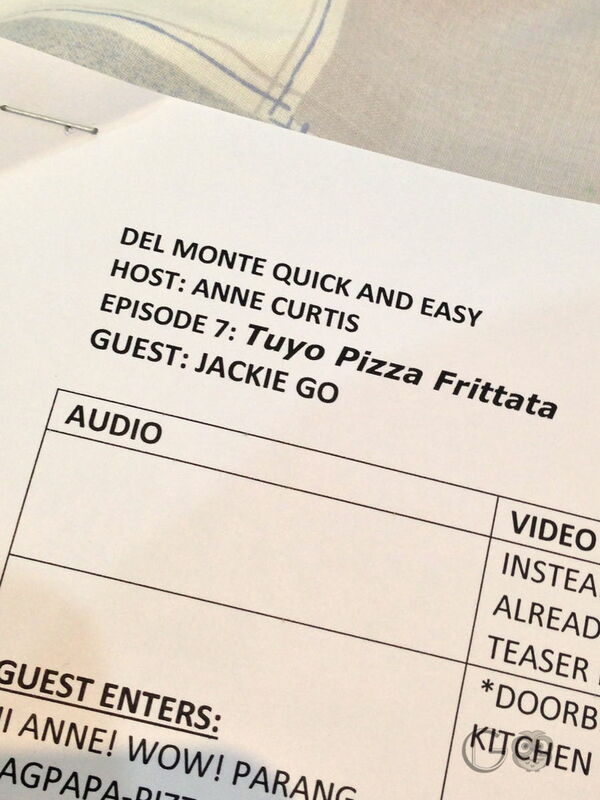 Thank you Del Monte for having me! 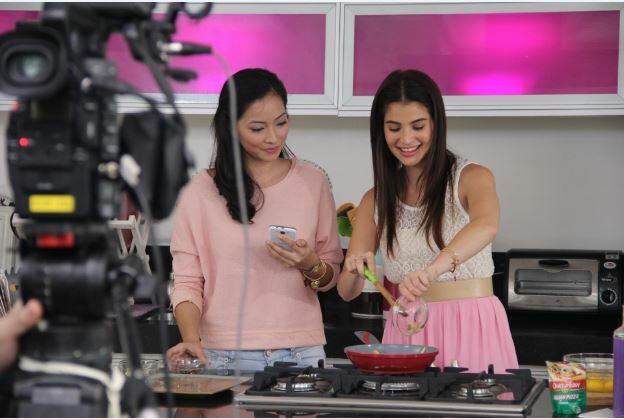 What a fun and memorable experience it is to cook a healthy meal with Anne Curtis. And thank you too Mr. GJG for being with me and traveling to the ends of the earth, okay OA naman, up, up, up north lang, just to taste the dish Anne & I cooked. I love you! Keso overload! Haha. 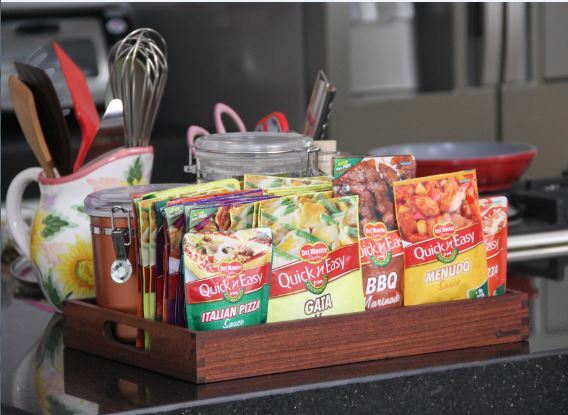 Catch our Annebisyosa sa Kusina with Del Monte Quick ‘n Easy episode this Saturday, between 11 to 11:30 in the morning, within Be Careful With My Heart Rewind. If you get to watch it doncha hesitate to tag me on Facebook, Twitter @gojackiego or Instagram @gojackiego so I can retweet, repost and regram. Be sure lang that your profile is set to public so I can view your tag. Yay! Don’t forget I have ongoing BLOG GIVEAWAYS, so go join!